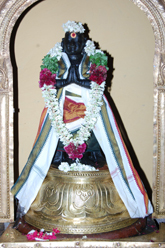 Taking into account of the great spiritual attainment at Thiruvannamalai, Saint Arunagirinthar travelled extensively from the extreme south of this country to Varanasi and praised Lord Muruga through his Thiruppugazh hymns. He came to Vayalur, a place of great significance as directed by Lord Muruga in his dreams. In front of the Lord he sought His permission to pray first Sri Poyya Ganapathi, which was granted. He sang few hymns; later Ganesa appeared in his dreams and blessed him to sing Thiruppugazh uninterruptedly. He had sang as many as eighteen hymns, praising Vel in His hand, the Kadamba flower garland around His neck, His holy feet and twelve shoulders as well as Lord Siva, Athinathar, the presiding deity, narrating Him as Agneeswarar (Thiruvakkeesar). 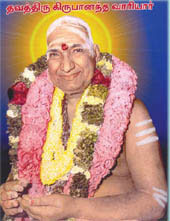 In recent years, Sri Kirupantha Variyar, who was blessed by Vayalur Murugan, renovated the much dilapidated temple area. He untiringly conducted spiritual discourses and collected donations from the patrons all over India and completed the renovation in a gracious manner. The credit of uprising the glory of the Vayalur temple goes to Sri Variyar swamigal only. But for his devout and ardent work, the present condition of the temple would not have been raised and attracted by the worshippers of Lord Muruga.